The arrival at Asmara International Airport is as usual: an entry card to fill in in the plane, a short walk from the plane to the terminal. Check, check, double check of the passport. 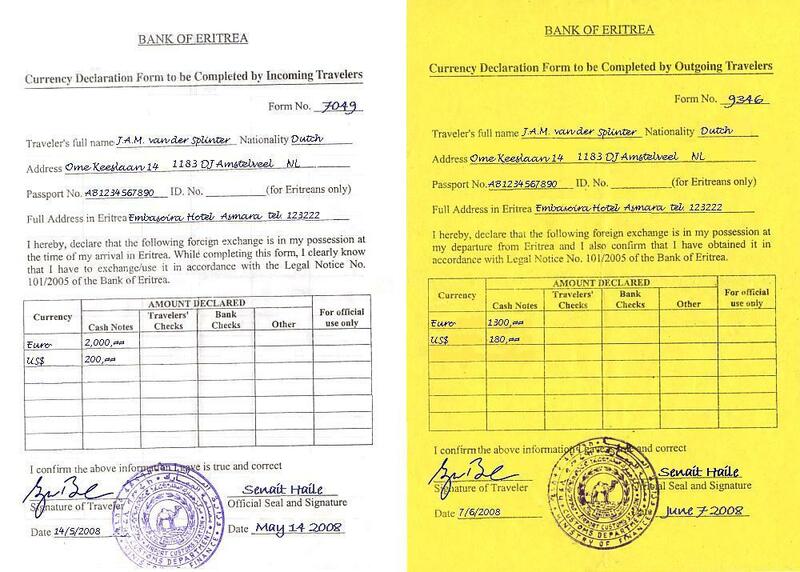 A currency declaration form has to be filled. A third passport and visa check. All foreign passports are compared with a list, causing some further delay A (sometimes thorough) luggage check for electronics. Some carefully selected passengers are checked for hidden foreign currency. Efficient, strict, and friendly. When I am close to the final exit, I ask the guards if I will have to wait for another check. The answer is: "Please let us hear that you did not forget your language". 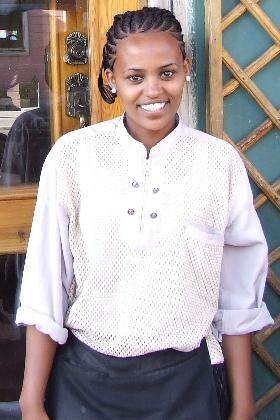 I count to ten in Tigrinya, and pass the final exam (they know me by now, as a regular visitor). Five taxi's are waiting for a good deal. 300 Nakfa for a transfer to the hotel. Feshaye and Terhas are waiting for us at the airport to bring us to our temporary residence in the nearby Corea Housing Complex, where I rest for a couple of hours until noon. 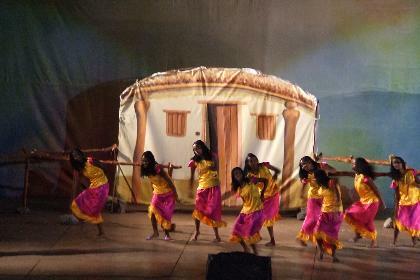 May 17 will be the kick of the one week celebration of Eritrea's 18th Independence Day. 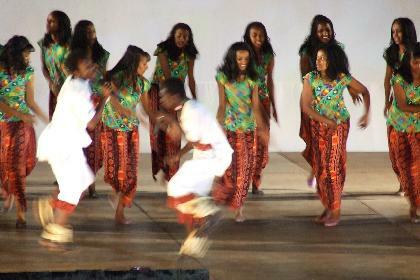 So my flight to Asmara on May 16 is just in time to witness all the festivities. 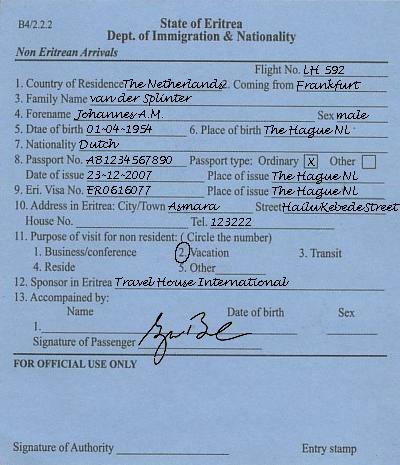 I called my Eritrean brother in law from Holland to ask him if he could get me entry cards for the Independence Day celebrations, and he did not let me down: Two sets of four invitations for the cultural shows in Bahti Meskerem and Cinema Odeon, for me and my wife, are handed to me when I visit them. When I order a king size mineral water at the American Bar, the waitress has to disappoint me. No Mai gaz. I ask for a beer. They don't have any beer as well. But they have beers in the Spaghetti House, and I am asked to wait for a minute. The waitress returns with two Asmara beers. One for me, and one for the fridge, just in case I need two beers. I am touched by the unexpected extra service. I give her one of the Independence Day postcards I printed as gifts. Proudly she shows it to her colleagues. I need her picture, and her name. 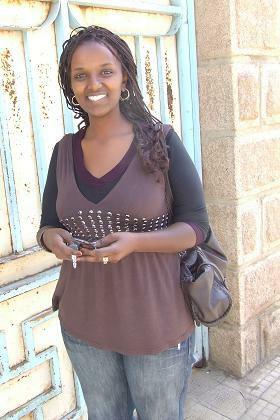 Nebiyat is one of those amazing people that makes you feel happy to be in Eritrea. I will meet many more of them during the next three weeks. At the evening show at the Bahti Meskerem Square, I take a seat on the first row, so I am free to move forward for some pictures. I am invited to have a better seat at the top of the grandstand, but I prefer the freedom of movement of the front seat. Maybe even to go down, and move towards the stage for some close-ups (No problem as long as I do not pass the guards). The public enjoys the show of singers, dance, drama, and comedians, and every once and a while someone will move to the stage to honor the artists with flowers, Nakfa's or hugs. 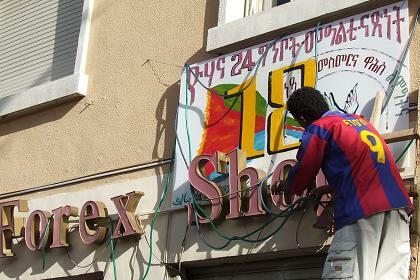 Decorating the facades for 18th Independence Day - Asmara Eritrea. Nebiyat (American Bar) - Harnet Avenue Asmara Eritrea. 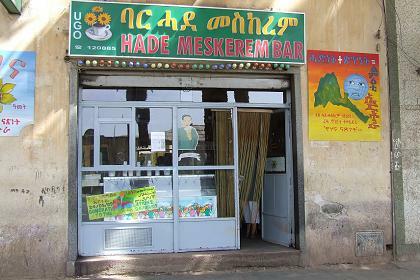 Hade Meskerem Bar & Pastry - Harnet Avenue Asmara Eritrea. 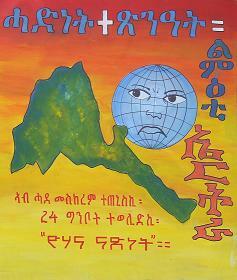 Unity + integrity = a developed Eritrea. 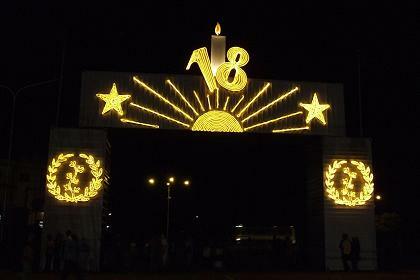 Decorated gate - Bahti Meskerem Square and Stadium - Asmara Eritrea. 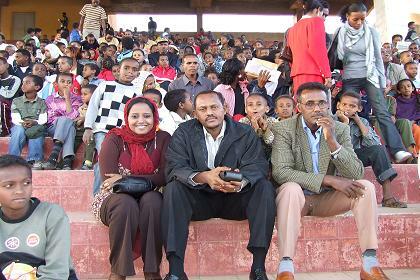 The audience - Bahti Meskerem Square and Stadium - Asmara Eritrea. 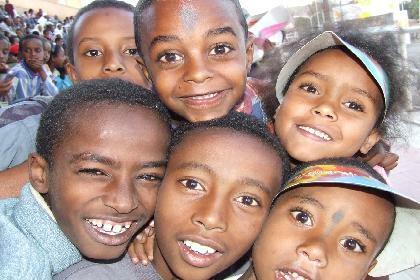 The children - Bahti Meskerem Square and Stadium - Asmara Eritrea. 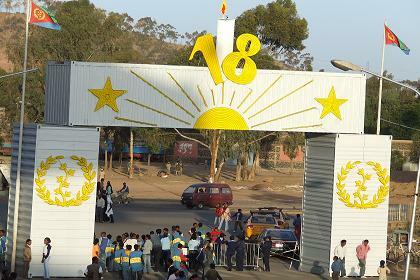 Entertainment - Bahti Meskerem Square and Stadium - Asmara Eritrea. 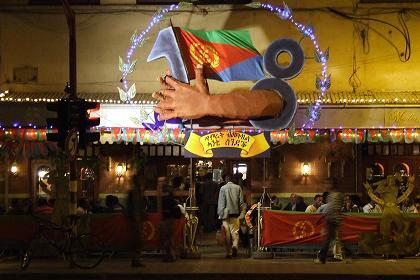 Decorated Bar Moderna - Harnet Avenue Asmara Eritrea.